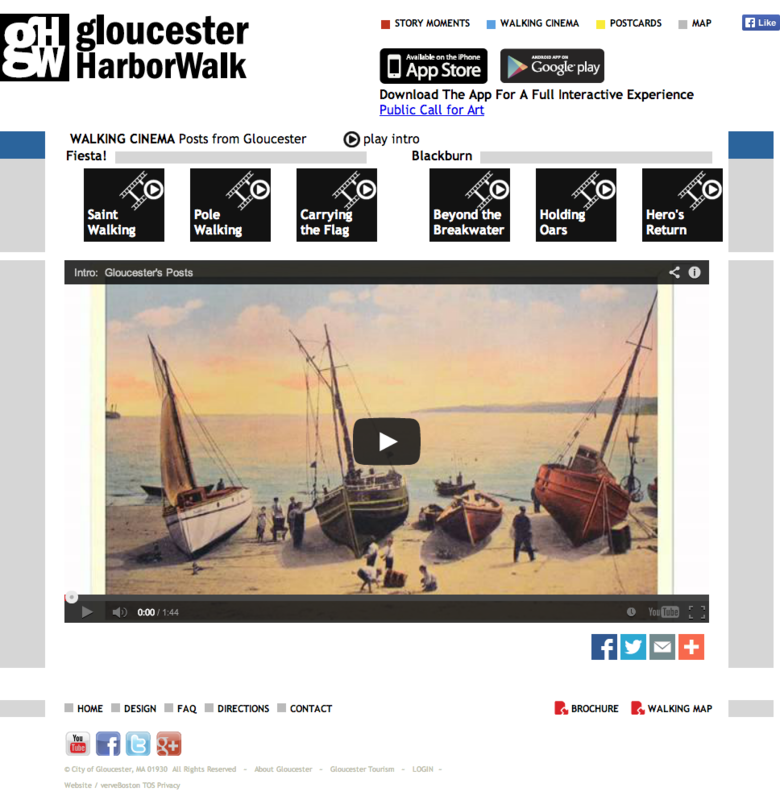 Gloucester Harbor Walk for Walking Cinema. This is a series of nicely produced short videos (2-3 minutes each) that interpret the history and culture of this community at a dozen places. Seven of these videos are easily available on the website, and I assume the entire series is available through the smartphone apps. Barnes Foundation for the Riddle of the Room family audio tour. Strangely, little information about this program is available on the Barnes Foundation website but according to others, it’s a self-guided interactive audio program designed for children ages 7-12 and offered for rent at $5 or free if you download it to your own device (look for “family tour”). Lower East Side Tenement Museum for Shop Life. This exhibit features a re-created 1870s German beer saloon in the ground-floor that includes an interactive “sales counter” where visitors select audio and visual media clips to explore stories of people throughout the 20th century, in a manner similar to the Churchill Museum in London. The website provides more details, including videos and slide shows that explain the exhibit and its creation (hardly ever see that!). The Excellence in Exhibition Competition is sponsored by four of AAM’s Professional Networks (CARE, CurCom, EdCom, and NAME) and recognizes overall excellence or innovation. Of the four awards this year, one was presented to Longwood Gardens for aesthetics and materials in “Light: Installations by Bruce Munro.” “Light” consisted of six artworks installed around the gardens and inside the Conservatory that attracted nearly 300,000 visitors–a rare instance where I could find a measurable impact. The Excellence in Exhibition Label Writing Competition is sponsored by three of AAM’s Professional Networks (CurCom, EdCom, and NAME) and the Museology Graduate Program at the University of Washington. The Overmountain Victory National Historic Trail received an award for their exhibit labels in the Visitor Center. Isabella Stewart Gardner Museum for its 2012 Gala invitation, membership brochures, and annual report. NPS Rosie the Riveters World War II Home Front National Historical Park for its video, The War at Home. You may have scanned this list and noticed I stretched the definition of historic site a bit to include the Barnes Foundation, Longwood Gardens, and the Gardner Museum. Although they primarily focus on art or horticulture, their buildings are also historically significant and affect the visitor experience. Furthermore, without their inclusion, the list of awards for historic sites would be very sparse, especially when you consider how many sites are in the United States. The American Alliance of Museums called these award-winning museums the “best and the brightest” in the November/December 2013 issue of Museum. Does this mean that the work of historic sites is not the best or brightest? Probably not. Most of these award competitions are self-selecting, that is, they are nominated, often by the design firms who were involved and rely on awards to attract clients. Secondly, competitions aren’t played on a level field–the winners typically have more resources than most historic sites in America. In 2011, for example, the Barnes Foundation had assets of $195 million and the Gardner had $222 million. Finally, most competitions are based on design and aesthetics, not on measurable outcomes or program impact, such as, “how many new memberships did the lovely membership brochure generate?” or “what did visitors learn from the clever audio tour?” Those are much more difficult questions and for the moment, beyond the capabilities of most award programs. In the meantime, they do offer inspiration and ideas.